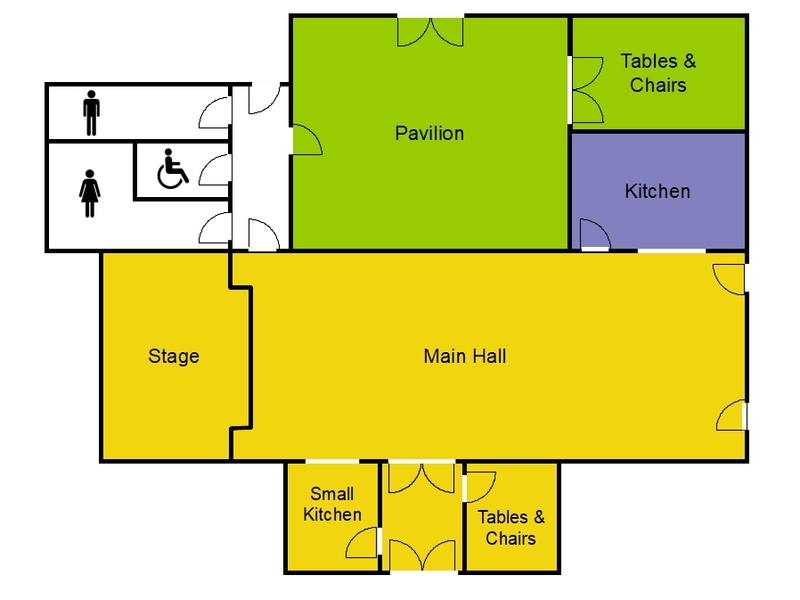 The Main Hall includes all of the areas on the plan above shaded in YELLOW.this includes the main entrance lobby, a large kitchen, a small kitchen/bar room, and a stage with a cinema screen. 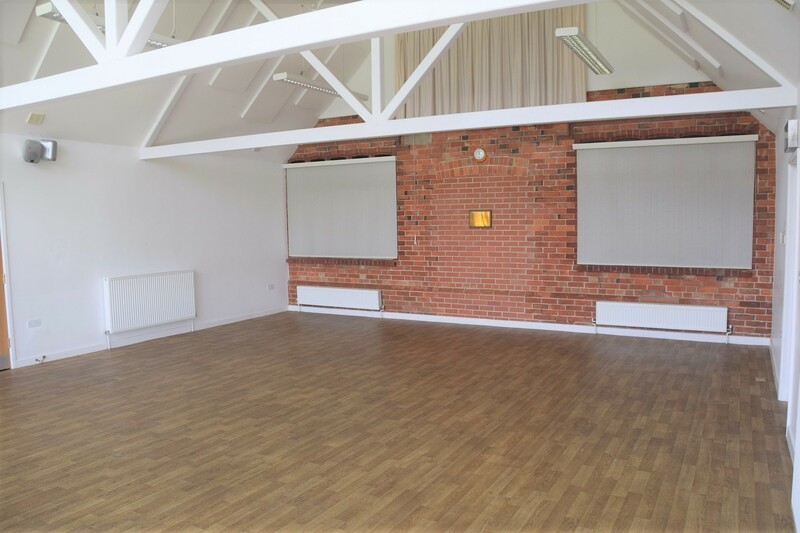 Immediate access to all areas coloured YELLOW.The large kitchen in PURPLE is available subject to an additional charge. For information on the kitchen please see below. 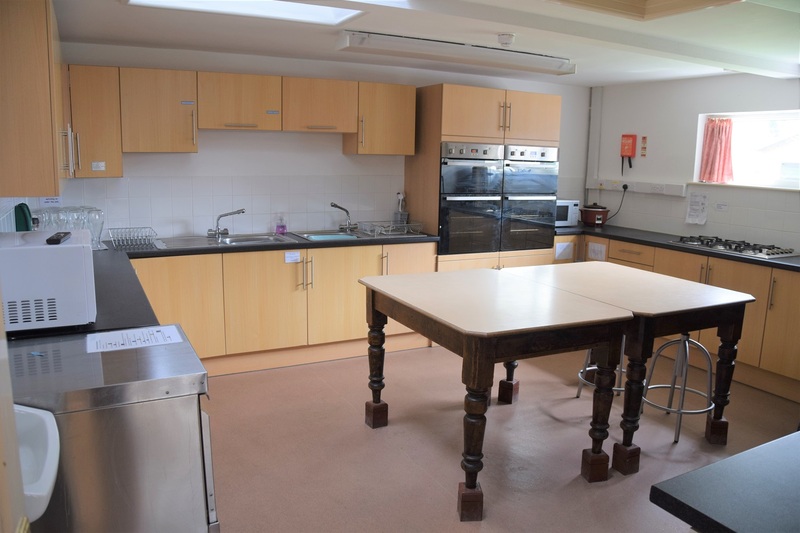 The small kitchen / bar room has a large tea urn, cups and saucers and small plates for 60 people. It also contains a small fridge and some glasses. 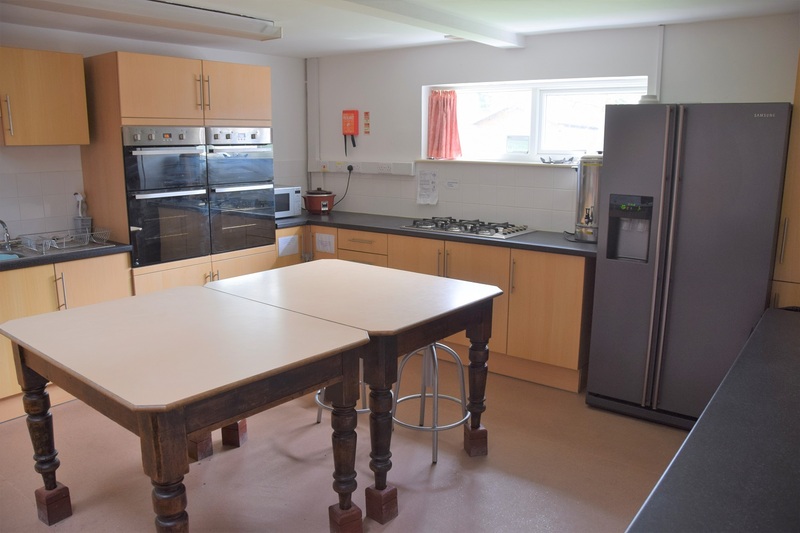 The main kitchen is available at additional charge. 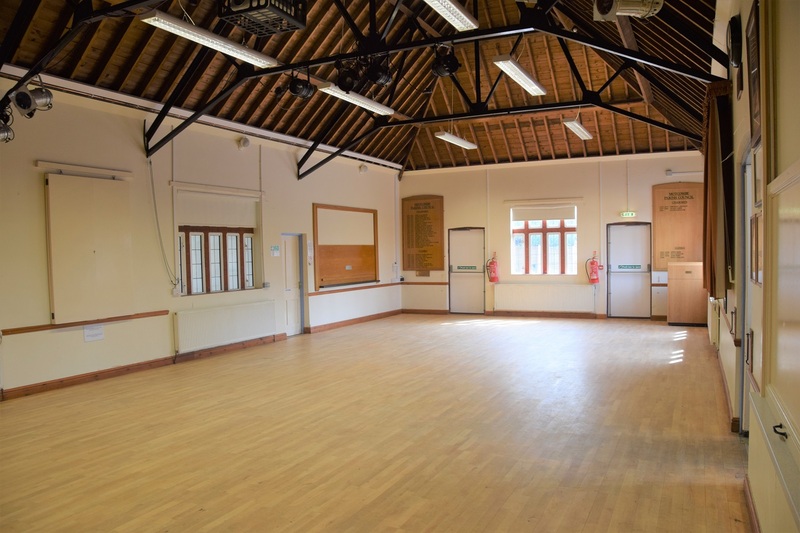 A cinema screen and projector may be booked for a fee. An electronic piano that is available to hirers free of charge. 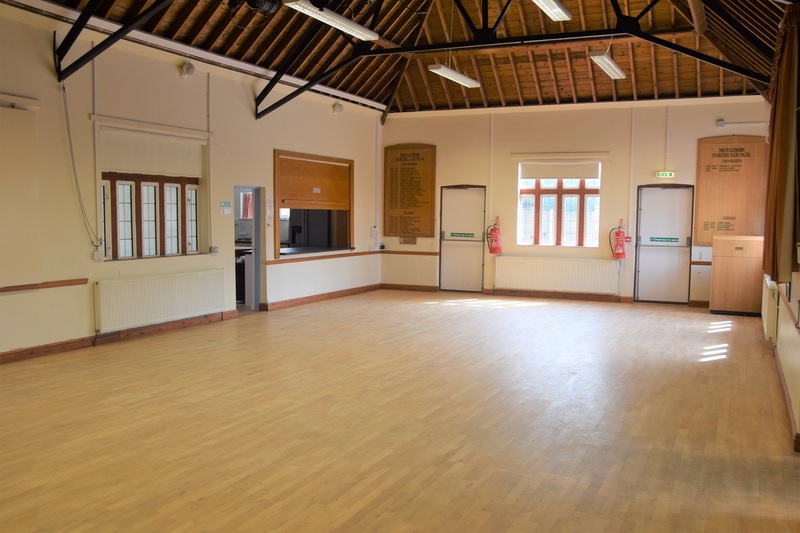 If you would like to use it, please liaise with the Bookings Secretary to obtain the key. 12 large collapsible tables seating 8. 4 small collapsible tables seating 4. Plates, cups, saucers and cutlery for about 60 people, held within the small kitchen. 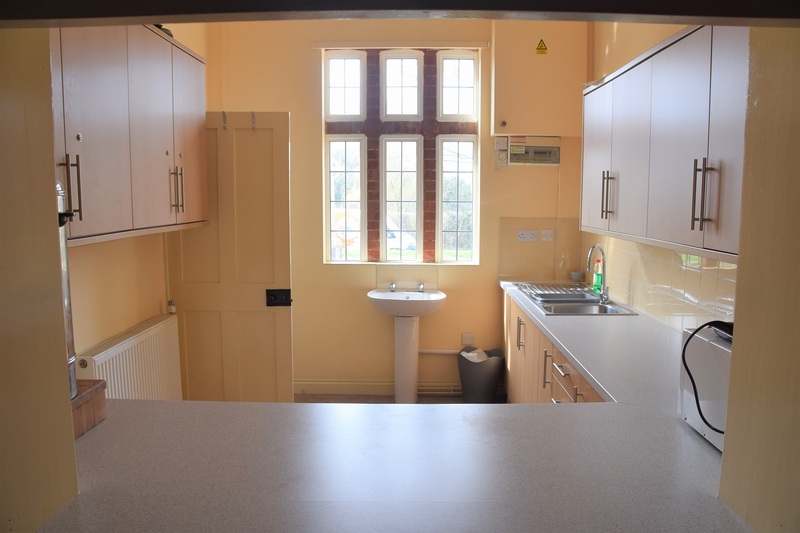 The small kitchen also contains a urn for hot water and a small microwave oven. The Pavilion includes all the areas on the plan above shaded in GREEN. 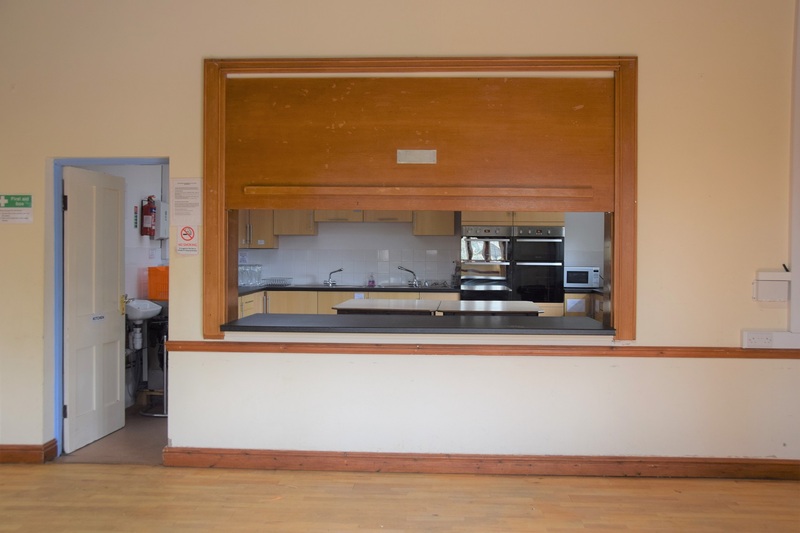 The pavilion has a small kitchen area with crockery and glassware but has no access to the main kitchen. 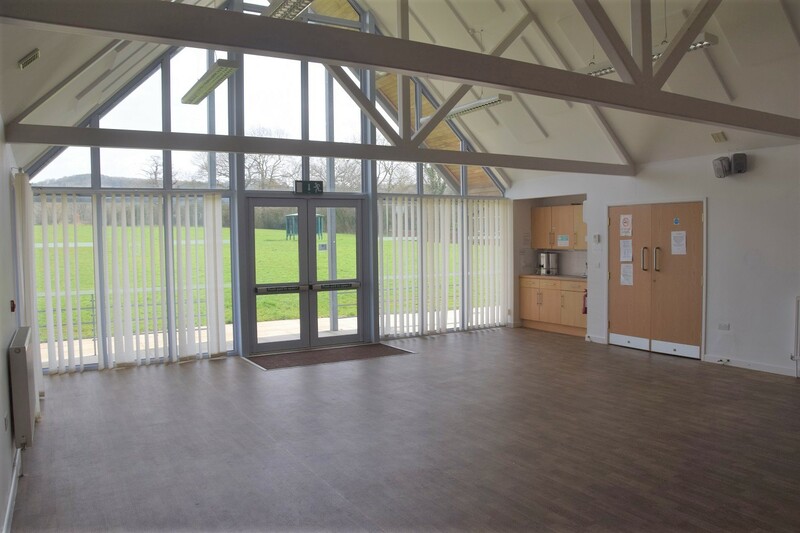 With full height windows and a main access door leading out onto a paved patio area, it is an ideal location for activities requiring good light and for summer events. Access to all areas coloured GREEN. There is no access to the main kitchen. 6 large collapsible tables seating 8. 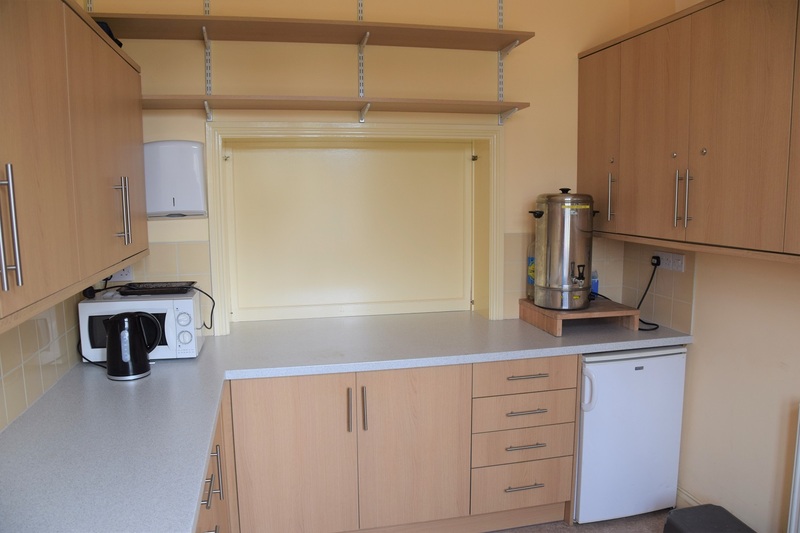 The small kitchen contains a tea urn and cups, saucers, small plates and cutlery for about 40 people. A small fridge in the storeroom. A 5 burner mains gas hob. 2 electric domestic fan ovens. Plates, cups, saucers and cutlery for about 100 people. If you are contemplating an event at which alcohol will be sold you will need to obtain permission through the Bookings Secretary. It will be charged at the current rate. Permission is only required if alcohol is to be sold rather than provided gratis by the hirer.